Indianapolis - Birl Allen Schilling, Sr. went home to be with the Lord, Thursday, March 28, 2019. He was born December 17, 1924 in Indianapolis to the late Clem and Marie Schilling. He was an honorably discharged veteran of the United States Army where he served in World War II. For most of his life, he worked in tire manufacturing. 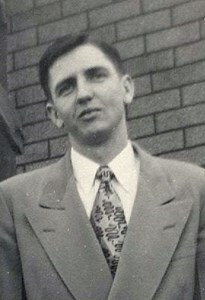 Mr. Schilling was preceded in death by his beloved wife of 46 years, Alene Schilling; sisters, Thelma Smalley and Wanda Mitchell; and brothers, John Schilling, Bob Schilling, Art Bedford and James “Jim” Wilbanks. He is survived by his daughter, Joyce Schilling-Noel; sons, Birl Schilling, Jr. and Frank Schilling; sisters, Mary Wilbanks and Jean Bohlman; and many other loving family members and friends. A graveside service will be conducted Tuesday, April 2, 2019 at 1 pm at Forest Lawn Memory Gardens, 1977 South State Road 135, Greenwood, IN 46143. In lieu of flowers, the family has requested that donations be made to Alzheimer’s research. If you would like to share a memory of Mr. Schilling, or a special message with his family, please click the “Share Memories” icon above. Add your memories to the guest book of Birl Schilling, Sr.. I am Birl Schilling's nephew. I'll always remember his sense of humor. He always seem to have quick quip, or a humorous way of looking a things. He will be missed. I remember Birl fondly, from being a friend of my fathers. They worked together. I recall his humor and stopping by his house once in a while on Saturdays. May the Lord provide peace in lasting memories for you.